Sending data, especially bulk files through email can be a very tedious process because attaching files can take a very long time. Also, you may not be able to share some files or send a batch of files in one email because of the size limit an email service has. Sending a video with a huge file size would be impossible to do through email. Today, you now have a great alternative to sending files via emails. 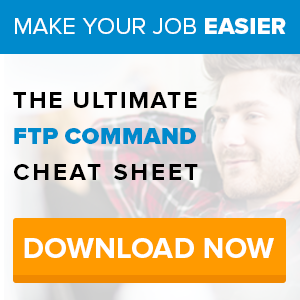 By using a file transfer protocol site, you can easily share, transfer and mail big file sizes easily. Most people have second thoughts of using this kind of service because they think they have to learn codes and numerous command lines. 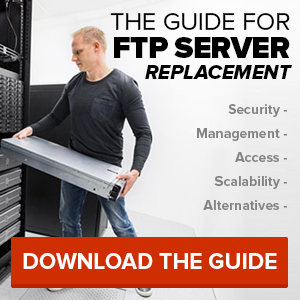 If you are one of these people, there is good news for you: you don’t have to know a lot about FTP to use it. In fact, with a great service provider like SmartFile, you don’t have to know a single command code to accomplish your tasks. A few clicks here and there and you’re job is done. By signing up for our service, you can securely share data with other people through our permission based folders, access your account through FTP, web interface or API and use your own domain name, logo and color scheme. Try our service for free for 14 days and know why a lot of people have chosen us over other services.